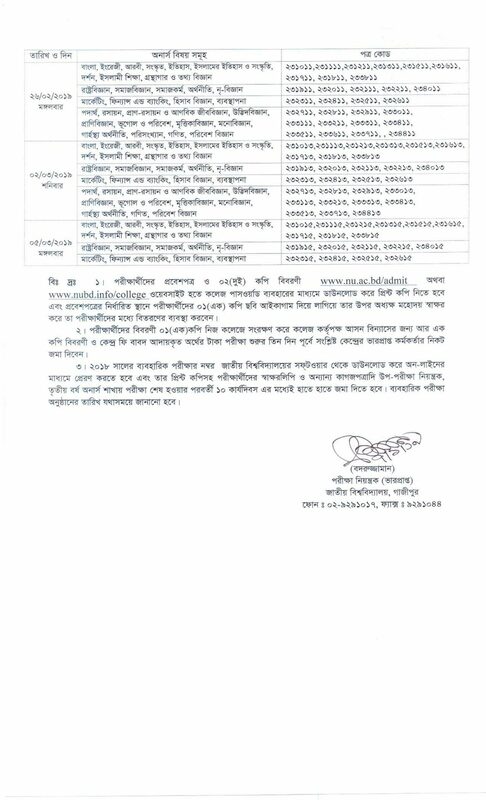 National University honors 3rd-year 2015 – 2016 Session exam Routine has been published: The national university has been published a list of regular, irregular and grade development examinations for the third year honors in the National University (according to the syllabus from the academic year 2013-14), National University It is reported on Tuesday (January 8th) that notice is released of the university. According to the published notice, the tests will start from 7 February and end on March 5. Examinations will begin every day at 1.00 pm. 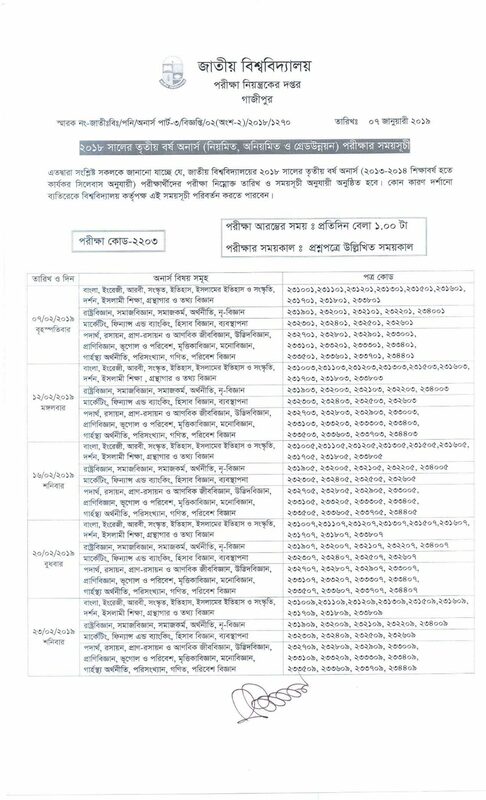 The examination details will be known from the National University website: www.nu.ac.bd.